75% Commission on Each Sale! Pays You Approx $25.75 per sale! Affiliates: You can earn 75% commission on every sale you refer to us! We are having a "HUGE" response to this product. Join us today and start making amazing amounts of cash now! The tools provided below will ensure you have everything necessary to maximize your profits! Why Join the "Paid for Pictures " Affiliate Program? Our goal is to help as many people as possible make a great living from home. However, it is impossible for us to single-handedly reach all the millions of customers who need the valuable information contained in this package. Therefore, we are more than happy to pay you 75% of the profit to help satisfy the huge demand. It is completely free to join our affiliate program. We pay 75% of each $37 sale because we want to have as many people as we can promote our product. That way the word can get out to the most amount of people. That's not all, there are also upsell products we sell on the backend which pay 50% commission so you can make even more money. This means a potential $100 + paid to you for each sale you make! ClickBank sends out checks twice a month, on the 1st and the 16th. The minimum check amount is only $10.00, so you can receive your first check after referring only one customer. You can find out how much you've earned anytime by checking the status of your commissions in real-time through your ClickBank account. Once you become an affiliate you get your own "Affiliate Link " to promote. All you do is promote the unique link that we give you. Then you can advertise it using your website, banners, your own email list, etc... 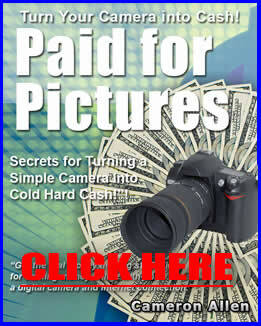 When people come here you get paid a whopping 75.00% commission on the sale of every Paid for Pictures Course ! 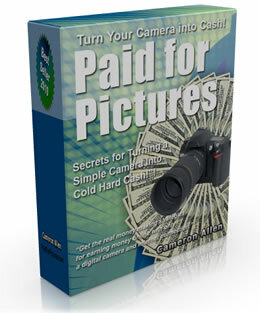 If you are already a ClickBank member, then go to Step 2. It only takes a few seconds to sign up with ClickBank. Once you have completed the ClickBank sign up form and received your "nickname," come back to this window and proceed to Step 2. To use the email above just add your affiliate URL to the message and send it as an email broadcast or include it in your email auoresponder. We view our affiliates as our partners! Your success means our success! Therefore, we will do our best to support all our affiliates, and we give a very generous 75% commission to show our appreciation for your partnership. © 2009-2010 Paid For Pictures , All rights reserved. PAID FOR PICTURES EARNINGS DISCLAIMER: EVERY EFFORT HAS BEEN MADE TO ACCURATELY REPRESENT THE SKILLS, CONCEPTS, IDEAS, AND TECHNIQUES OFFERED BY THIS SITE AND THEIR POTENTIAL. THERE IS NO GUARANTEE THAT YOU WILL EARN ANY MONEY USING THE TECHNIQUES AND IDEAS IN THESE MATERIALS. EXAMPLES IN THESE MATERIALS ARE NOT TO BE INTERPRETED AS A PROMISE OR GUARANTEE OF EARNINGS. EARNING POTENTIAL IS ENTIRELY DEPENDENT ON THE PERSON USING THIS PRODUCT, IDEAS, EFFORT AND TECHNIQUES. YOUR LEVEL OF SUCCESS IN ATTAINING THE RESULTS CLAIMED IN OUR MATERIALS DEPENDS ON THE TIME YOU DEVOTE TO THE PROGRAM, IDEAS AND TECHNIQUES MENTIONED, YOUR FINANCES, KNOWLEDGE AND VARIOUS SKILLS. SINCE THESE FACTORS DIFFER ACCORDING TO INDIVIDUALS, WE CANNOT GUARANTEE YOUR SUCCESS OR INCOME LEVEL. NOR ARE WE RESPONSIBLE FOR ANY OF YOUR ACTIONS. TESTIMONIAL DISCLAIMER: THE PERFORMANCE EXPERIENCED BY USER COMMENTS AND TESTIMONIALS ON THIS PAGE AND/OR OUR WEB SITE , IS NOT WHAT YOU SHOULD EXPECT TO EXPERIENCE. ALTHOUGH THIS SITE ACCEPTS THE TESTIMONIALS IN GOOD FAITH, WE HAVE NOT INDEPENDENTLY EXAMINED THE BUSINESS RECORDS OF ANY OF THE PROVIDERS AND THEREFORE HAVE NOT VERIFIED ANY SPECIFIC FIGURES OR RESULTS QUOTED THEREIN. SOME OF THE USERS MAY, IN SOME CASES, BEEN INCENTIVIZED TO SUBMIT THEIR COMMENTS. THESE RESULTS ARE NOT TYPICAL, AND YOUR INCOME OR RESULTS, IF ANY, WILL VARY AND THERE IS A RISK YOU WILL NOT MAKE ANY MONEY AT ALL.